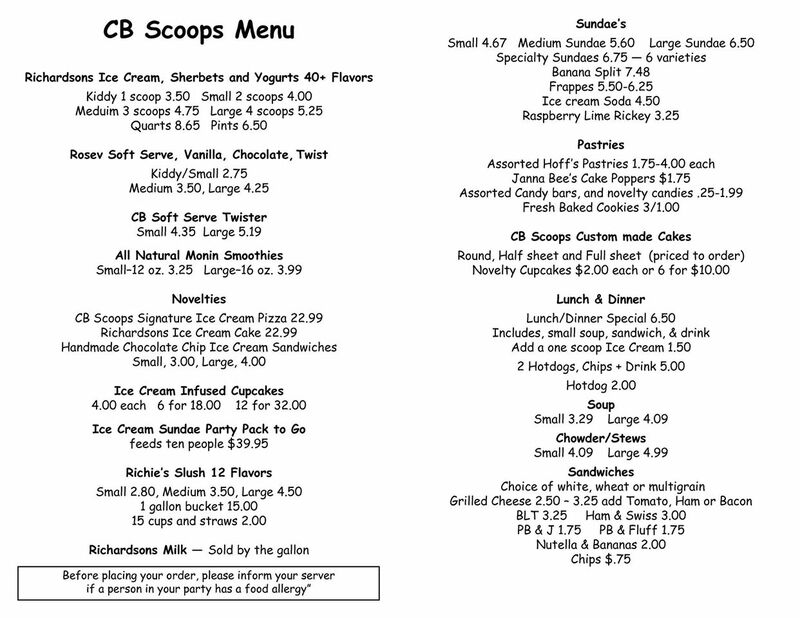 CB Scoops - Medford, MA Ice Cream, Cakes and Treats! 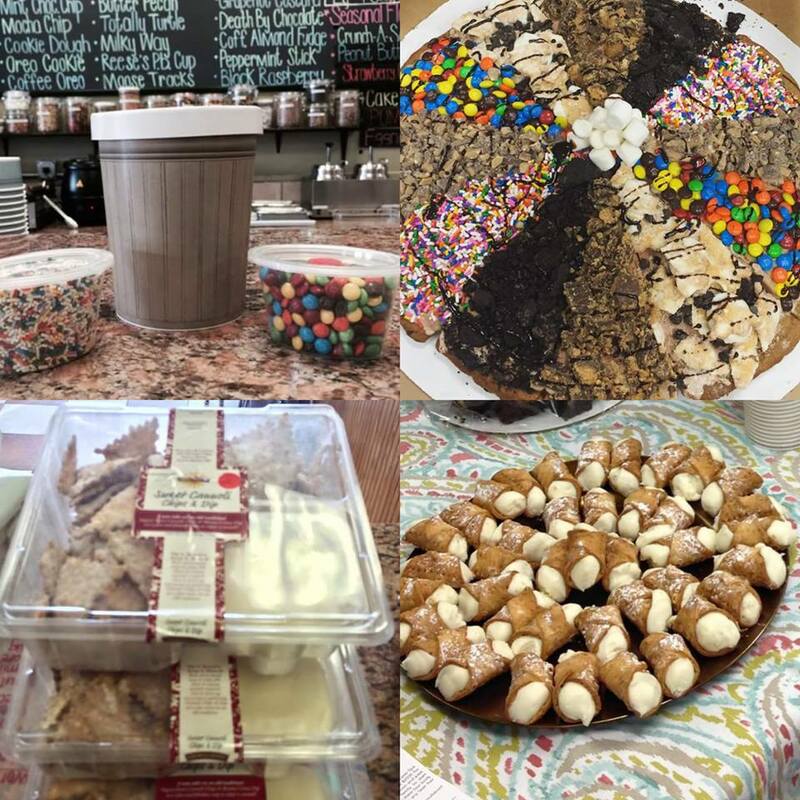 Delicious Flavors of Ice Cream All Year Long! 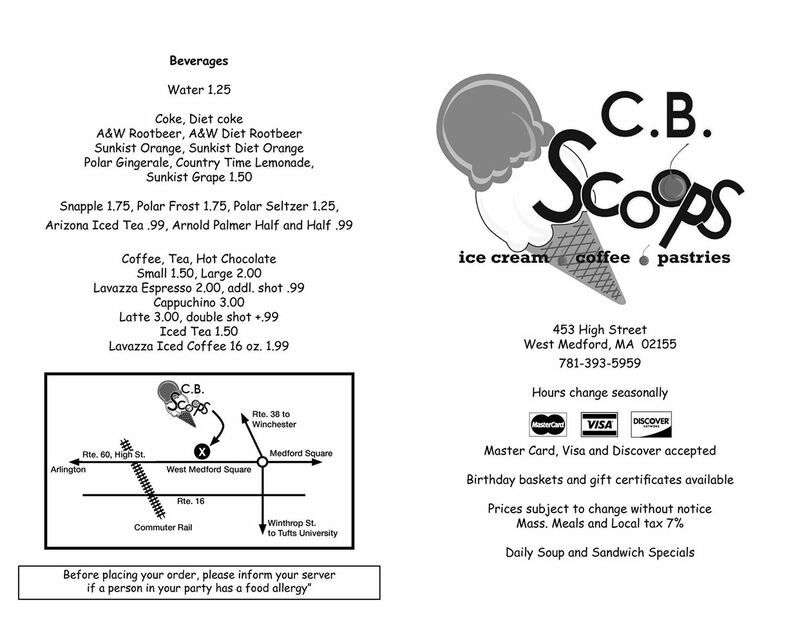 Welcome to CB Scoops! 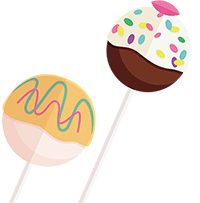 As a Richardson’s Ice cream, Richie’s Slush, and Hoff’s Pastries merchant, we know our quality product speaks for itself. 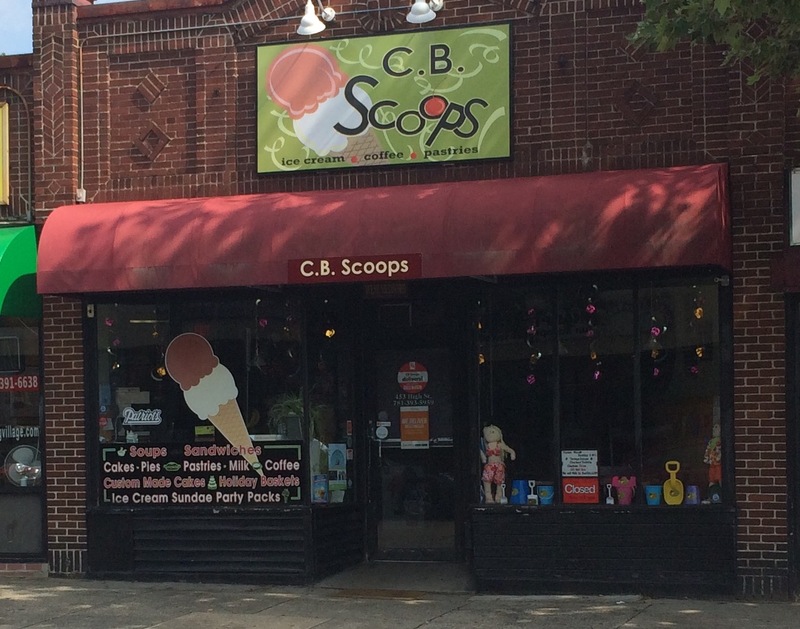 CB Scoops Management and its employees strive to make every guests visit a memorable one. 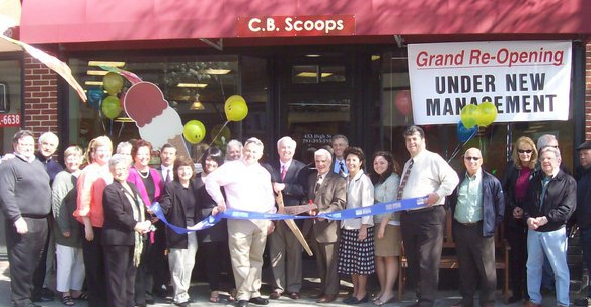 Since Valentine’s Day 2010, long standing West Medford residents, Ginny & Chuck Roche and the rest of their CB Scoops family put forth their best efforts to provide quality service through hard work and loyalty to the Medford community. We are extremely proud to be a part of the growing West Medford Square and hope you stop by and visit soon! SUMMER IS ALMOST HERE! HOURS CHANGE 6/20! 12:00am-10:00pm until 6/20 11:00am-11:00pm for the Summer! Cute little ice cream shop! Richardson's ice-cream is delicious. Staff is friendly, prices are reasonable. They have other treats but only have ordered ice-cream. Definitely will be back for more! Service is always prompt and friendly and the owners are very supportive of Medford initiatives. Stop by and support a vibrant local business that contributes to the community. What Date Do You Need These By? 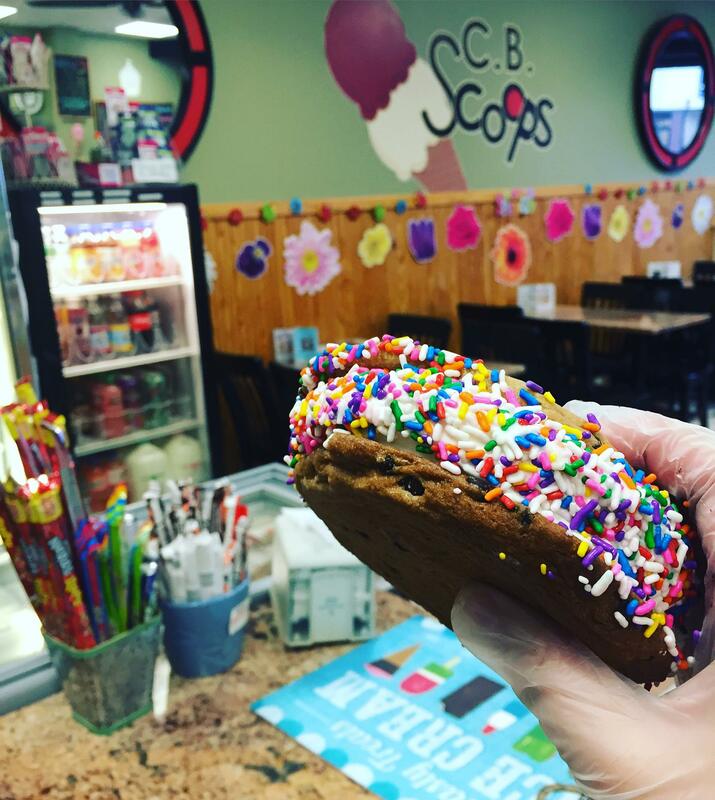 At CB Scoops, one of our most important goals is to continue to be innovative and find new ways to please YOU, the customer. Over the past two years, We’ve added Soups and sandwiches (BLT, Ham & Swiss, Grilled Cheese, etc. ), the infamous CB Twister (with new creative flavors coming! 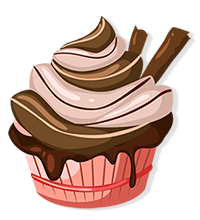 ), Fresh baked HOME-MADE cookies, Ice cream infused Cupcakes, Soft Serve cone dip (Choc, butterscotch, cherry.. Coming this summer!! ), and trust us, there’s more to come!